The President has every right to fire any member of his cabinet who is no longer behaving as his alter ego. 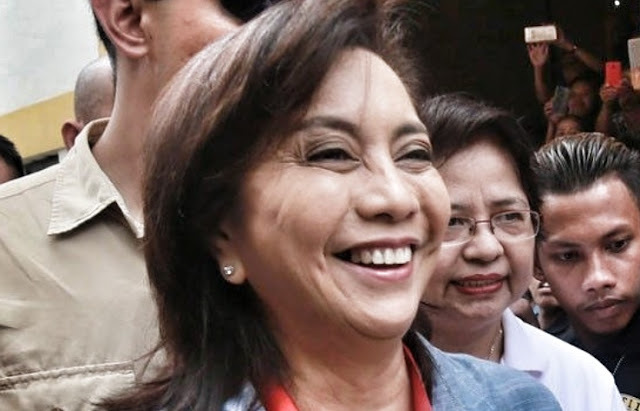 It is clear that Leni Robredo has taken positions diametrically opposed to the President. The President would have been in the right had he simply directly fired her. But instead of doing so, he gave her what would have been a graceful exit. For her to resign. 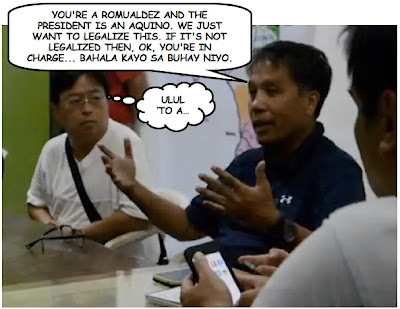 Robredo's immediate boss in the Cabinet was not the President but Secretary Jun Evasco. The President did not break protocol by instructing Secretary Evasco to inform Robredo to desist from attending Cabinet meetings. The post of HUDCC Chair, while of Cabinet rank, is not a regular member but only attends when needed. 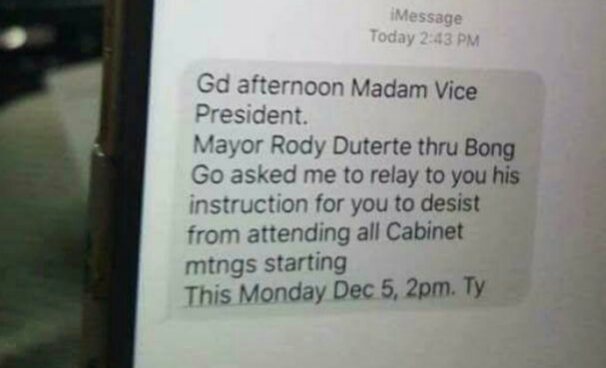 But the text, which has become a normal official way of communication, was also sending a message to Robredo to make the graceful exit and resign. 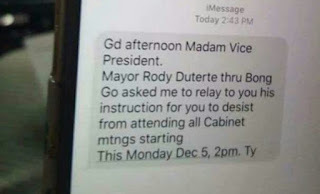 But instead of just doing this, she leaked the text message through her partymates (I got mine from a friend who shared it as posted by Barry Gutierrez) to create the drama to whip up something sinister out of something that is not there, which is the alleged plot to oust her as VP. 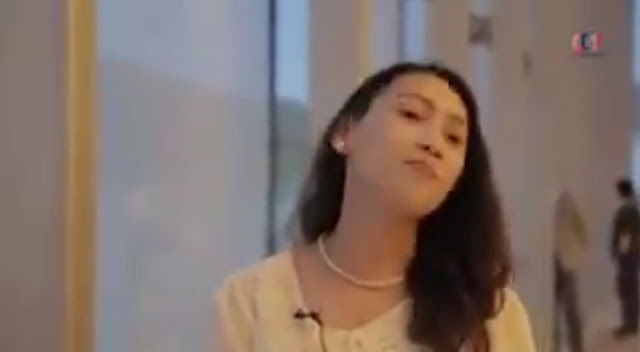 If I were the PET, I will ask Robredo to explain why she should not be cited for contempt.